To lesson the effects of a strong wind on the golf ball in flight. If you are hitting into a headwind or strong crosswind the ball will be more affected the higher it flies, so the golfer might choose to play a punch shot to reduce the effect of the wind on the ball. When the golfer needs to get the ball underneath something that is in the normal line of flight for the club chosen. Most of the time this will involve trying to hit the ball underneath overhanging tree branches. 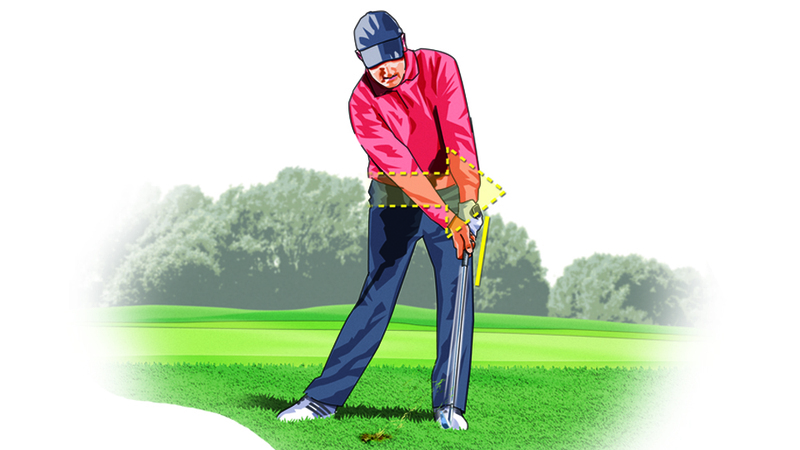 Some golfers find that playing a punch shot gives them more control and accuracy. So sometimes for this reason they will choose to play it more often than not during a round. So what technical changes are required to play this shot? Take more club than you would normally use from a particular yardage. For example if you are 150 yards from the green and would normally use a 7iron, take a 6iron or maybe even a 5iron to play a punch shot. When doing this take into account the strength of wind which you are playing into, as this will determine how much the shot is going to be affected. Set up with the ball further back in the stance than you normally would do on a standard shot. The middle of your stance should be the most forward you should have the ball position when playing a punch shot. Make sure your hands are ahead of the golf ball at address and at impact. You can help achieve this by feeling like you forward press your hands before the takeaway, or by playing the ball further back in the stance if necessary. Feel as though around 60 percent of your weight is on your left foot at address and throughout the swing. Make a smooth swing on the ball with limited weight shift (Think of swinging with mostly your arms than the body). Take the club back around three quarters of your normal backswing length, and after impact cut your follow through shorter than normal. It is important to maintain a smooth tempo throughout the swing as you are trying to reduce the amount of spin on the ball. The harder you swing the more spin will be produced which is not a good combination when trying to keep the ball low and under the wind.